This magnificent tour will take you to South Africa’s most well known highlights and “off the beaten track” places! From hectic Johannesburg to the beautiful cosmopolitan city of Cape Town, you will discover the treasures of these 3 countries. With 3 unique wildlife game reserves, high mountains, deep canyons, breathtaking scenery & enchanting activities, this holiday offers you a concentration of wonderment. A journey to the delights that these magical Southern African countries have to offer. This afternoon we visit Soweto with an experienced local guide. We visit Soweto township, Freedom Square and Hector Peterson Memorial. We depart for the beautiful Blyde River Canyon in Mpumalanga. We follow the scenic Panorama Route and admire God’s Window, Three Rondavels, Blyde River Canyon, Bourkes Luck Potholes and the various Canyon waterfalls. Pilgrim’s Rest is an authentic historical village dating from the first South African gold rush and now a National Monument. Lunch Time permitting, a swim in the beautiful MacMac pools to cool off. Accommodation is near the edge of the canyon. animal kingdom on the planet. Thereafter a glorious 4×4 sunset safari with a professional ranger pursuing the Big 5 and other rare and endangered species. You enjoy a great barbecue dinner made by your guide. Return to camp for a hearty breakfast followed by a full day safari with your guide. An optional night drive can be booked at the reception on arrival. Accommodation in National Park chalets. Departure for the Kingdom of Swaziland (passport required). The landscapes are very similar to those of Switzerland. We visit the Ngwenya Glass Factory and the oldest mine in the world. At Mbabane, capital of Swaziland we admire the Royal Palace, Parliament, the Kings Mausoleum and a craft market in the Ezulwini Valley. Overnight “hotel de charme” bed and breakfast, dinner included. This morning we depart for the Drakensberg mountain range, a UNESCO World Heritage site. We stop for lunch at Howick, the peaceful capital of the Natal Midlands, where the Umgeni River plunges 95 m forming a spectacular waterfall. Lunch then the Mandela Capture Site, where the late Nelson Mandela was arrested in 1962 before the famous Rivonia trial when he was sentenced to life imprisonment and sent to Robben Island. A monument commemorates this event that changed the course of history. We then head to the Drakensberg a World Heritage site known to the Zulu people as uKhahlamba meaning “Barrier of Spears”, the Drakensberg forms a majestic semi-circular border between KwaZulu-Natal in South Africa and the inland mountain kingdom of Lesotho. Many offered and optional activities are available in this region. Which may vary depending on where you are situated or would like to be situated in the Drakensberg. We can opt for an optional 4×4 excursion (highly recommended) and visit Lesotho for the day, via the Sani Pass, the highest in Africa, or similar if situated in the Northern Drakensberg. Or We can choose to go on a guided hike to the famous cave paintings left by the Bushmen of about 4000 years Or Trek to the Tugela Falls, the worlds highest. Or We visit the Golden Gate National Park, with it’s unique sandstone rock formations and wild life, browse around the pretty town of Clarence, with it’s many little restaurants. Or Visit the historic battle fields of the 18th century where the English, Afrikaans and Zulu armies, engaged in bloody battles. After breakfast we depart for Durban or Johannesburg for our flight to Cape Town. A visit to Durban might be possible depending on flight schedules. Here we visit the old City and the ”Golden Mile” a paradise for surfers which was home to 4 world champion surfers. 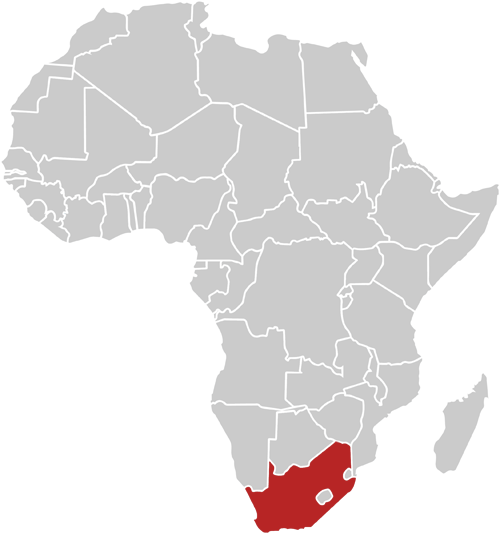 Durban, known for its African, Indian and colonial influences. Refurbished for soccer’s 2010 World Cup, the seafront promenade runs from uShaka Marine World, a huge theme park with an aquarium, to the futuristic Moses Mabhida Stadium. The Durban Botanical Gardens showcases many African plant species. The scenic Chapman’s Peak Pass offers breathtaking scenery. Tonight we will have an authentic African dinner of many culinary dishes from across the continent, accompanied by dance, music, and theater.